During this three-week internship, interns will gain first-hand knowledge about how an election campaign works, from the initial phase of strategising, campaigning and finally to exit poll analysis. Experts including Prof. Gowda, Dr. Sandeep Shastri, Pro Vice-Chancellor, Jain University, Harish Bijoor the Brand Guru, Nitin Pai, the Takshashila think tank founder, Ashwin Mahesh, policy activist. etc., will conduct sessions to provide a foundation to students from which to engage with the electoral process. A PAI Blog has been set up wherein all interns will be encouraged to write about their daily experience of participating in on-field campaigns, interaction with media and governance experts and suggestions to make the electoral process better. The PAI will include several field-level activities such as door-to-door campaigning; explaining the vision of key MP candidates like Nandan Nilekani, Bangalore South and C Narayanaswamy, Bangalore North to lakhs of voters; participation in Bangalore Political Action Committee (BPAC) led voter awareness drives and mock parliament debates; along with manifesto analysis. Interns will be participating in brainstorming sessions and debates on whether people vote for parties or candidates, and whether urban constituencies are conducive for change in traditional politics. Interns will also get to organise an event to bring together hundreds of voters in the city along with the select MP candidatess on the same platform for an interactive session. The internship is an ideal platform for encouraging citizen journalism as it also focusses on media tracking, designing and implementing visual campaigns, content generation through videography, photography and social media campaigning. Interns will be responsible for generating creative content for the various campaigns and write articles on issues raising voter awareness and the nature of electoral campaigns. Overall, this will be a unique learning experience for all individuals, interacting and getting acquainted with the functioning of the largest democracy in the world where 814 million voters will exercise their right to vote in May 2014 and choose their future for the next five years. The content for this post has been forwarded by Prof Rajeev Gowda, and has been published under Message Forward’ section meant for nonprofit messages from individuals and organisations. Confused about the Parliamentary Constituency you belong to and the candidates you should vote for? 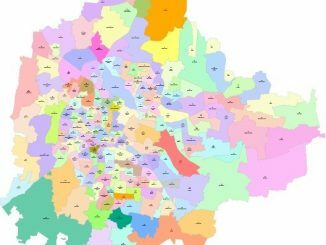 Here’s the list where you can check which is your Parliamentary Constituency. What is it like to be a newbie to electioneering? Nina P Nayak explores the world of politics while campaigning. 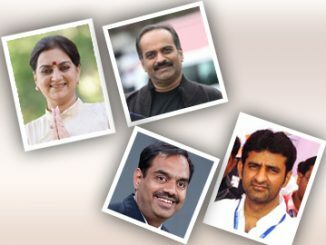 Compare Bangalore Central candidates before deciding your leader! This is your one-stop site for comparison – interviews, profiles, affidavits – everything!